Antioxidant, Antibiotic, Antimicrobial, Antifungal, Antiseptic — What Isn’t Aloe Vera Good For? Aloe Vera is a spiky, succulent plant with tiny spines along the two sides of the thick, variegated leaves, which fan out from their base. It grows wild in tropical regions as well as in many households across the United States. This plant has numerous uses for centuries, both nutritional and medicinal. Namely, the gel found in the leaves has powerful healing properties for a variety of conditions and maladies. Moreover, it may help treat many of the health issues lots of people buy lotions and creams for, which possess aloe Vera extracts. The commercial success of Aloe Vera for food, cosmetic, and pharmaceutical use worldwide is known to be about 13 billion dollars per year. Furthermore, aloe Vera possesses potent antioxidant compounds, which help stop harmful bacteria growth. Also, it has unique healing properties, particularly when applied as an ointment for the gums and skin. – Amino acids — In fact, around 22 amino acids, known as the “building blocks of protein” are important for your body. This plant possesses about 20 of them, such as all 8 of those considered vital for human health. – Fatty acids — Aloe is also packed with plant sterols, i.e., potent fatty acids, such as B-sitosterol, campesterol, and stearic, palmitic, oleic, caprylic, myristic, linolenic, and linoleic acids. – Polyphenol antioxidants — Polyphenol antioxidants help fight free radicals that cause infections, disease, and accelerate the aging process. A study found that aloe Vera possesses 75 active compounds, such as salicylic acids, lignin, and saponins; 12 anthraquinones, i.e., phenolic compounds called laxatives; and amino acids. It is also packed with lupeol, campesterol, and β-sisosterol; as well as the hormones gibberellins and auxins that have anti-inflammatory properties and help in wound healing. Additionally, the adaptogenic properties of aloe increase the ability of your body to manage stress and adapt to external changes. Experts claim that adaptogens can help balance your system as well as boost your body’s natural adaptive and defense mechanisms, thus fighting disease and illness. That’s not all, aloe Vera is also an alkaline-promoting food that helps alkalize your body and balance your overly acidic dietary habits. 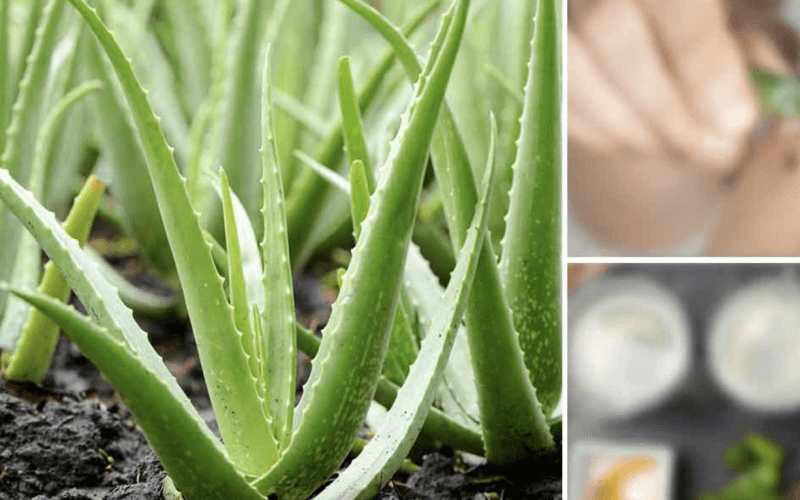 The topical application of aloe Vera helps heal bug bites, cuts, puncture wounds, burns, and psoriasis. A 4-study review showed that aloe Vera could lower the healing time of burns by 9 days compared to standard treatments. The analgesic properties of aloe help alleviate pain, and prevent and relieve itching. The astringent properties of aloe gel can cause your body tissues to contract, thus decreasing bleeding from minor abrasions. It can also help prevent or decrease fever thanks to its antipyretic effects. It can also hydrate your skin because it contains 99% water. Moreover, it can elevate the elasticity of your skin and make it more flexible through elastin and collagen repair. As an emollient, aloe can help soothe and soften your skin. It can also help supply oxygen to your skin cells, thus elevating the synthesis and strength of your skin tissue. It can also boost blood flow to your skin via capillary dilation. From all these advantages from using aloe, weight loss is a secondary benefit since decreased blood sugar, detoxification, regular bowel movements, and enhanced digestion have a beneficial effect on your weight. Aloe Vera plant may also grow outdoors in Northern climates during warm weather. Planting it in the ground may be straightforward. It is advisable to add a layer of wood chips and compost that enhance the quality of the soil as well as provide it with essential nutrients. The good news is that growing this plant is easy to do. As it produces many baby plants, new shoots can be removed on a regular basis and popped into individual pots. In addition, they can grow more quickly if their roots are not crowded. Therefore, leave a few inches of space in between. Even though the aloe Vera plant loves bright light, you should not allow it to bake in high temperatures and hot sun all day long because it may kill and scorch the plant. This plant loves indirect light. You should water the plant well. But, you should leave a couple of inches of top soil to become dry in between waterings in order to prevent it from rotting. In winter months, make sure you water it less often. Also, when you place your aloe Vera plant in a pot, even a tiny plant, the pot should have drainage holes at the bottom. Once the plant gets large enough, you may want to cut individual leaves off under the soil level. Slice off the little spines on each side carefully, slice off a couple of inches and cut through the flat side of the leaf to expose as well as scrape off the gel for use as a cooling sunburn remedy or aftershave lotion. 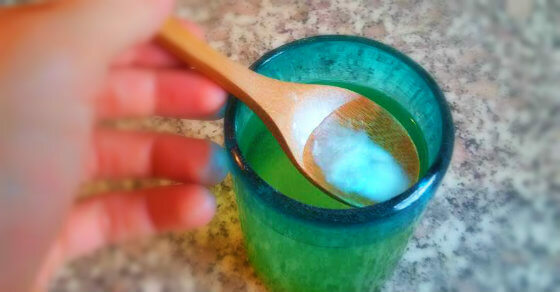 Fresh gel from an aloe Vera plant is actually among the most effective natural remedies for sunburn. You can slice open the leaves and apply the exposed gel to your skin. You can also add several teaspoons of the gel to a small glass bowl, use a high-speed blender or hand mixer for a few seconds, and add some fresh lime juice for a refreshing beverage. In case you do not want to grow aloe Vera plant yourself, you can buy it from many grocery or health food stores. The best way to enjoy aloe Vera’s benefits is to use the plant itself, not products possessing percentages along with other ingredients, such as chemicals. As a result of the rampant abuse in the representation of various consumer products claiming to possess aloe Vera, but many didn’t, certification by the International Aloe Science Council was created in the 1980s. Although this plant is extremely beneficial, long-term use might result in certain side effects. Long-term use might result in loss of electrolytes, particularly potassium. You should not use aloe orally during your period, pregnancy; or in case you suffer from gall bladder or liver degeneration, or hemorrhoids.